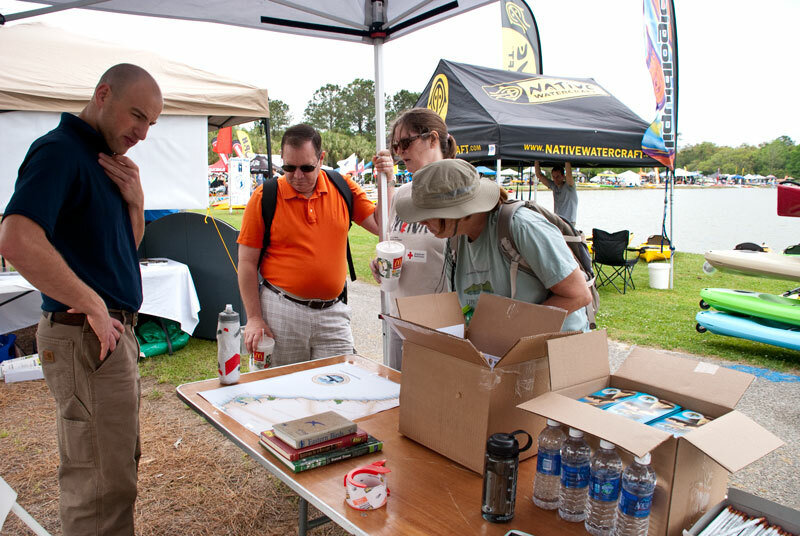 On April 19, 2013 our coalition federal, state, and private agencies officially launched this website for the Southeast Coast Saltwater Paddling Trail (SECT) at the East Coast Paddlesports & Outdoor Festival, held in Charleston, South Carolina. Our new website will be the primary source for all-inclusive information on navigating the coastal water trails of Virginia, North Carolina, South Carolina and Georgia. Featuring detailed maps that highlight access sites, lodging and supply centers, paddlers can now travel an unbroken trail of tidal marshes and rivers more than 800 miles along the coasts of all four states. A big thank you to all who stopped by our table at the event to check out the map and talk about the new website. Now it’s time to spread the word so please share our site with friends and family! Don’t forget to send us any comments or questions you may have as well. You can also enter your email in the form at the right to get blog updates sent by email. 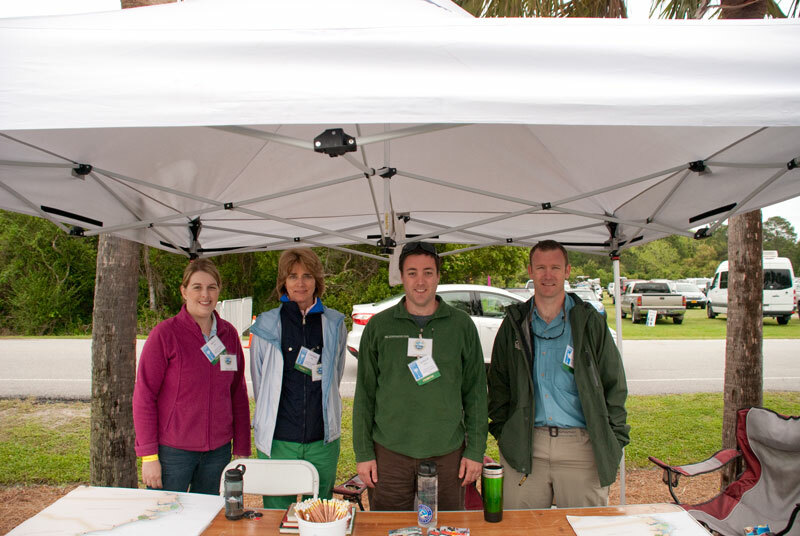 The partners of the SECT are especially grateful to Charleston County Park & Recreation Commission and SC Department of Natural Resources for spotlighting the new SECT website at the Festival. This entry was posted in Trail News on April 26, 2013 by setrailadmin. These paddle trails are essentially useless unless there are camping opportunities along the way. I completed the GA saltwater paddling trail in March, and finding camping amounted to begging marinas to let me stay the night. The trail listed no viable camp sites within normal expedition distances, or camp locations that were on the trail. Dawn – Thank you for stopping by and commenting. Since this website was not up and running back in March, we assume that perhaps you used the Georgia Saltwater Paddle Trail document online? We realize the limitations of publically accessible campsites along Georgia’s coast and are working to highlight other privately owned lodging opportunities. The Georgia Saltwater Paddle Trail document was designed as a planning document for paddlers of varying skill levels by linking public access locations along the coast. Some of the distances are significant and we encourage paddlers to plan accordingly. Our new interactive map on this website does show which access points have camping available.